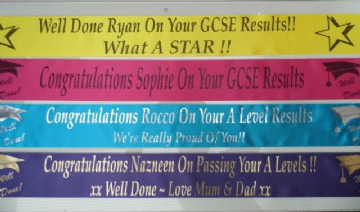 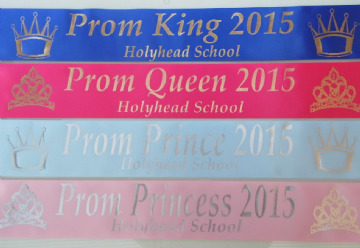 Personalised prom sashes in a range of colours & styles. 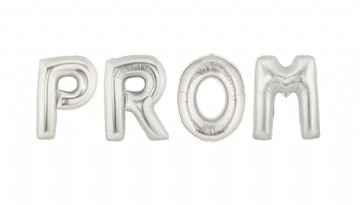 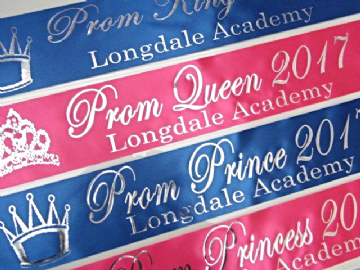 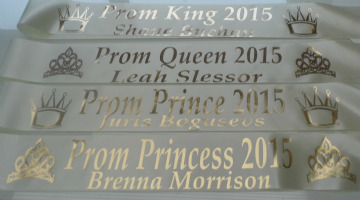 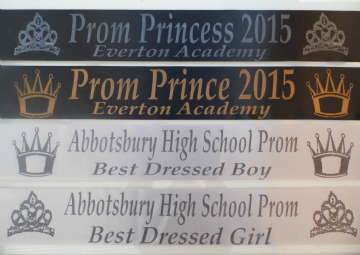 Prom King & Queen sashes custom printed for your school Prom celebration. 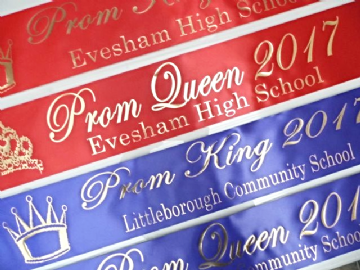 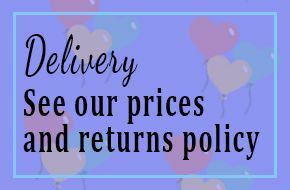 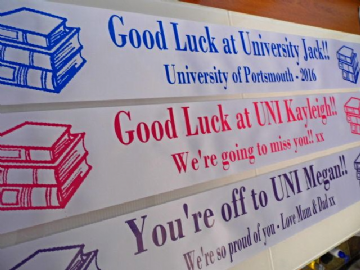 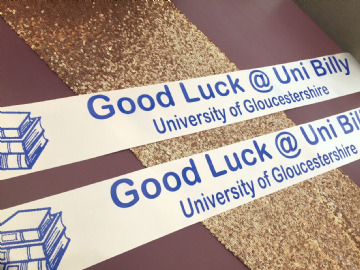 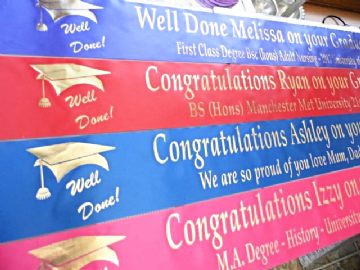 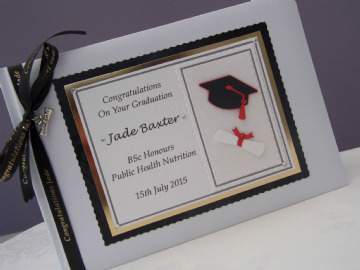 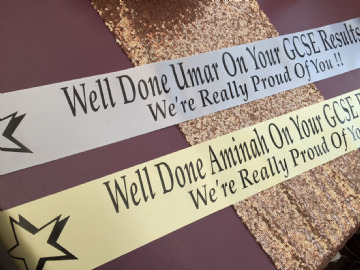 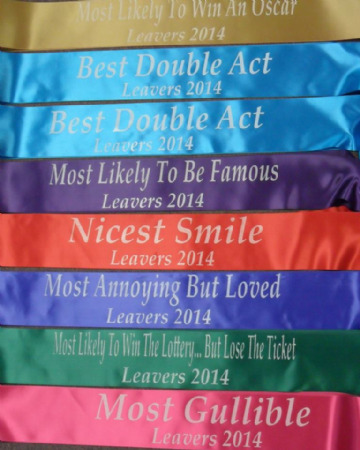 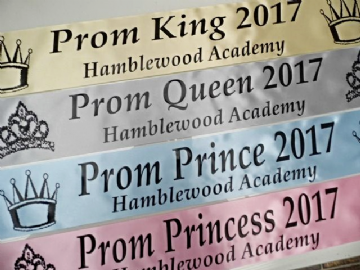 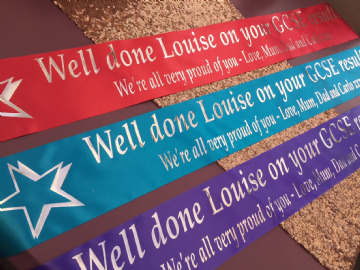 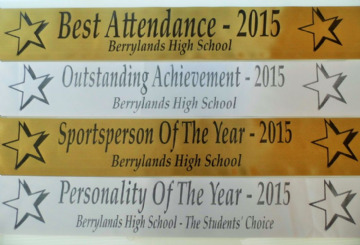 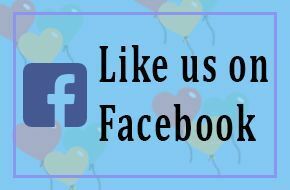 We pride ourselves on producing excellent quality Prom sashes, student achievement / award sashes & personalised banners for your special event.